It's becoming a cliché at this stage, but they're not Kíla. 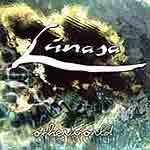 There's nothing wrong with what they play, but in the wake of the Kíla-dominated rebirth in trad, Lúnasa say nothing. They're missing the wild spirit, the reckless experimentation - the basic life of the � Snodaighs, the Hogans, et al. As a result, Lúnasa will probably continue to win awards and be acclaimed by the critics, but their crossover potential from the fairly restrictive pure trad scene is virtually nil. It's a pity, they are good, but they don't do anything special with their abilities.